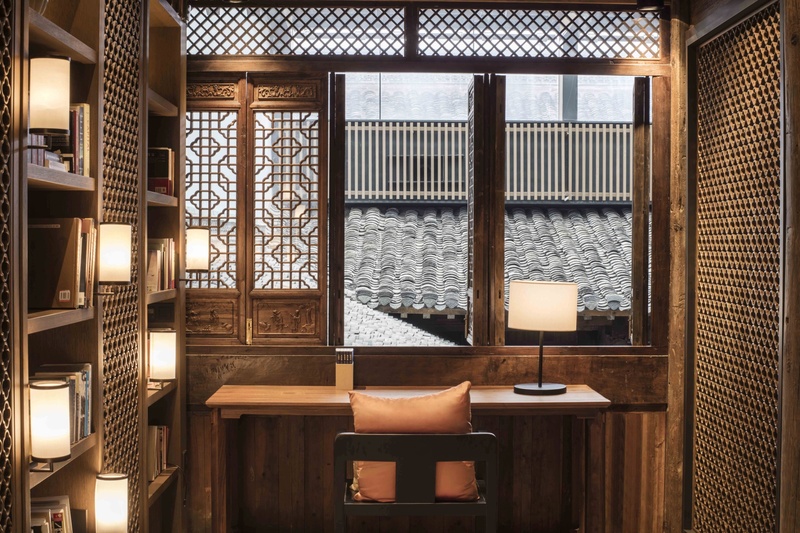 It’s impossible to look at Ahn Luh Zhujiajiao and not be impressed. 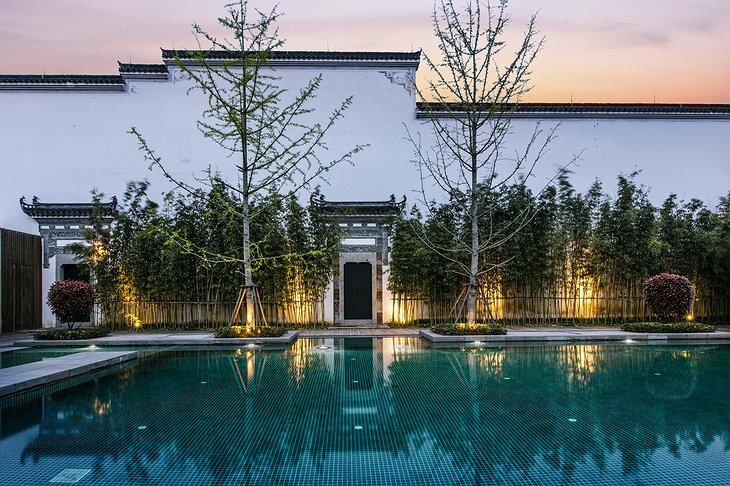 Housed partially in a 600-year-old courthouse from the Ming Dynasty, this hotel looks like the film set for Raise the Red Lantern. 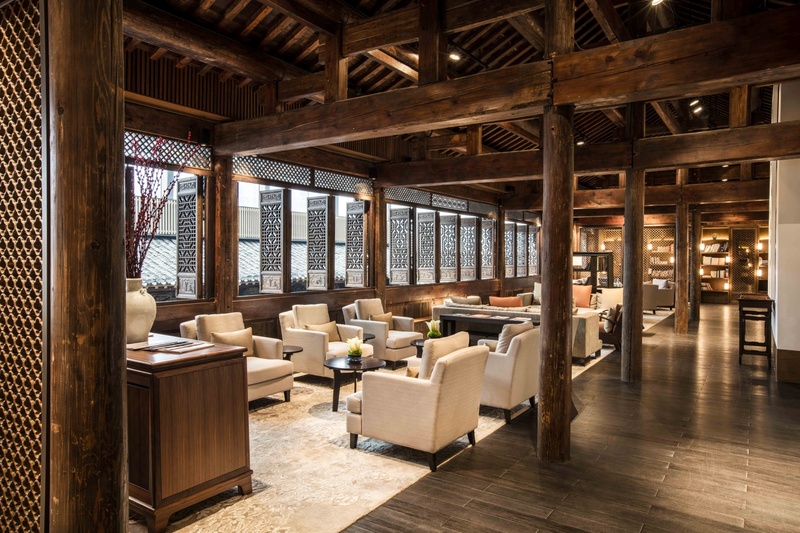 The historic building, which had been beautifully restored, now serves as the hotel lobby and will transport you to another era the moment you arrive. 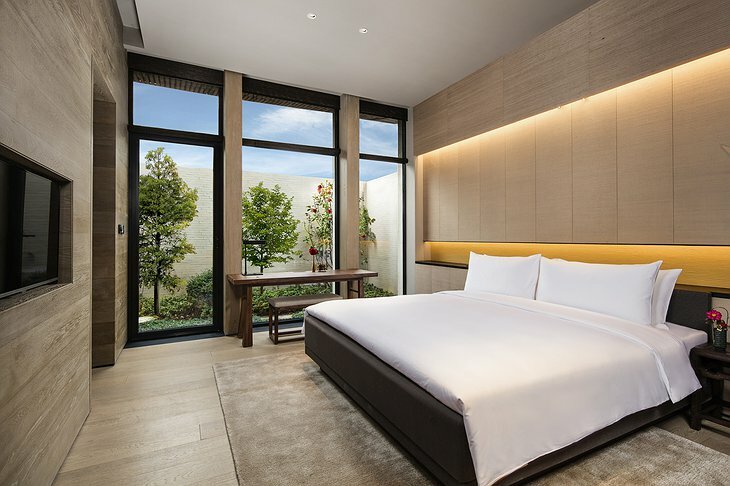 This hotel is certainly not a budget option. 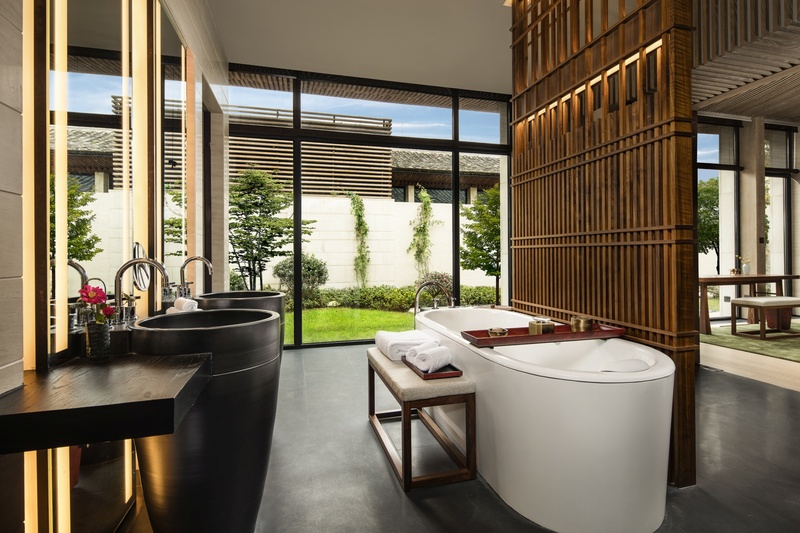 It consists of 35 new luxurious villas, each with their own private garden and immaculate design. The interiors are modern, but loosely inspired by the style of the old Chinese mansion. 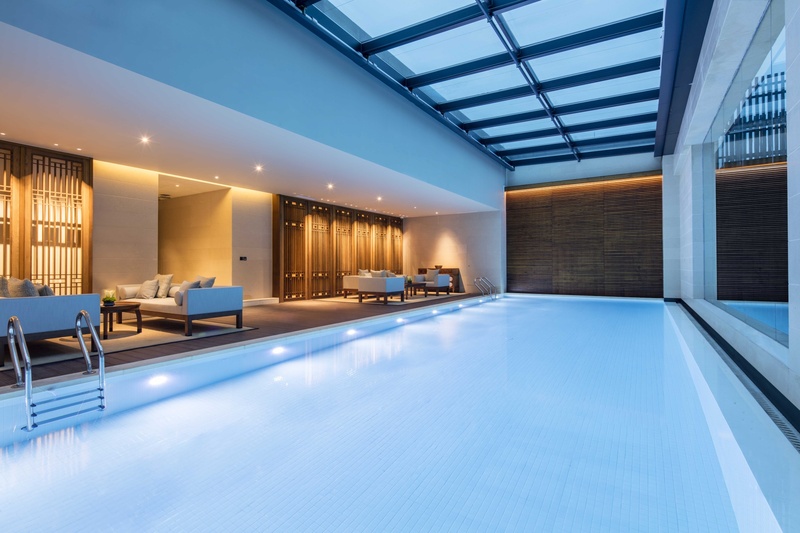 They’re all perfectly indulgent, however, if you really want to spoil yourself, the Pool Pavilion features a heated outdoor swimming pool (talking about luxury!). The journey back in time doesn’t end at the hotel lobby. 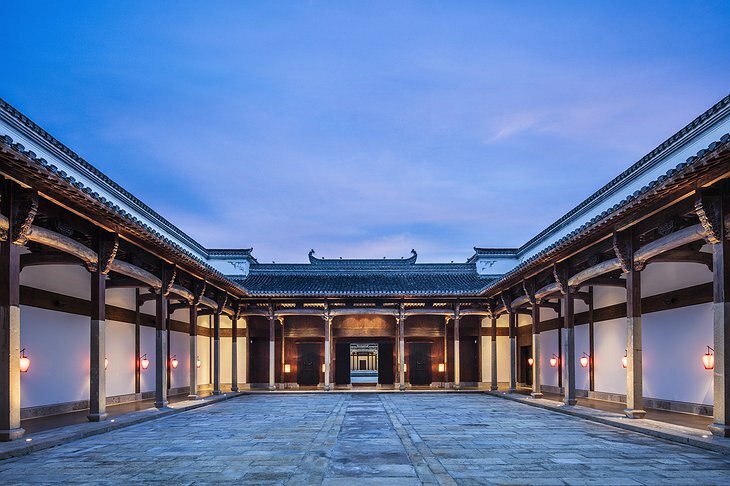 Ahn Luh Zhujiajiao is just 5 min walking away from Zhujiajiao, an ancient water town dating 1700 years back. 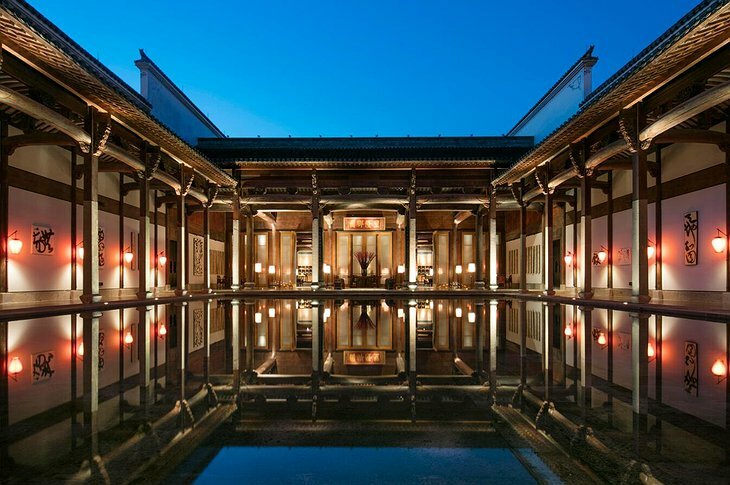 If you’re not in a hurry, take a leisurely gondola ride through the canals and admire the iconic stone bridges on the way or enjoy the traditional Chinese tea ritual. 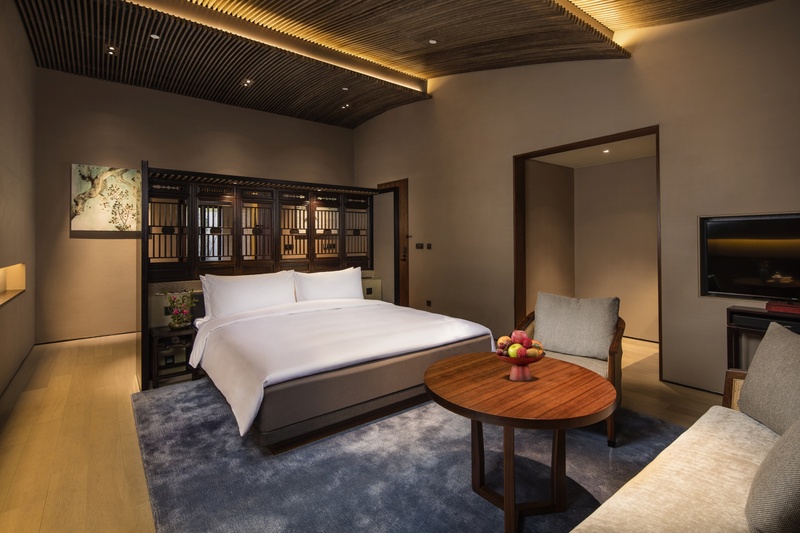 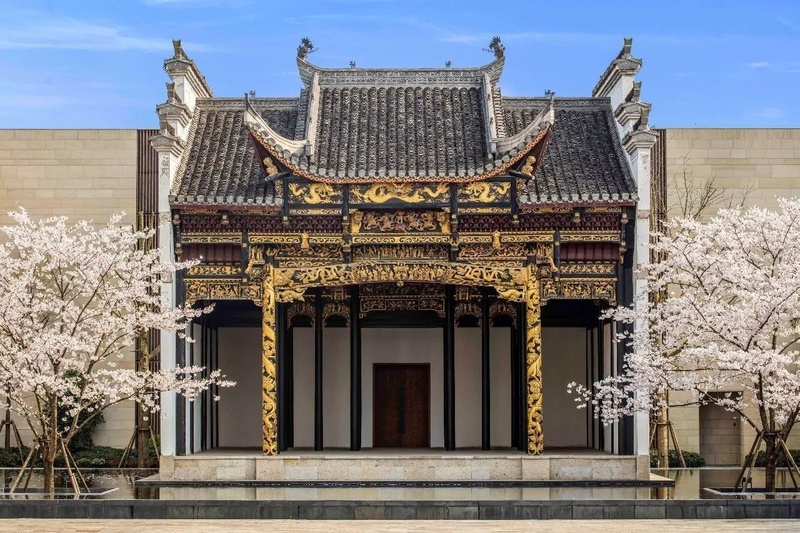 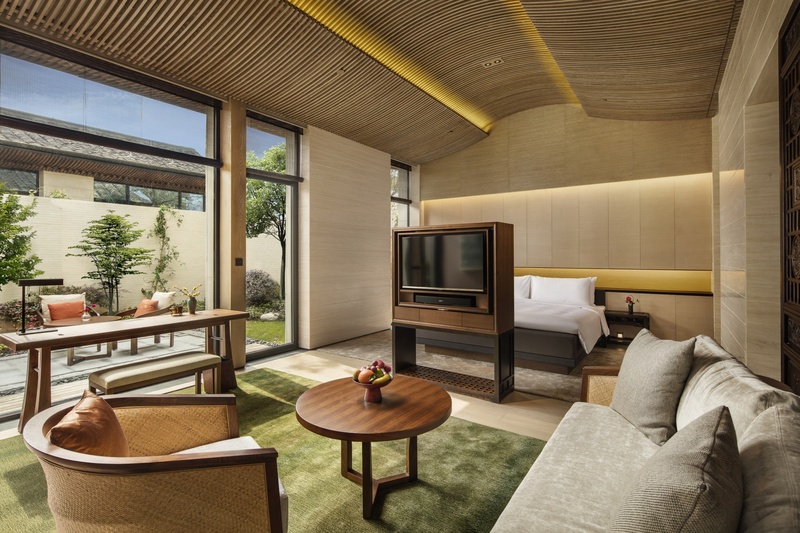 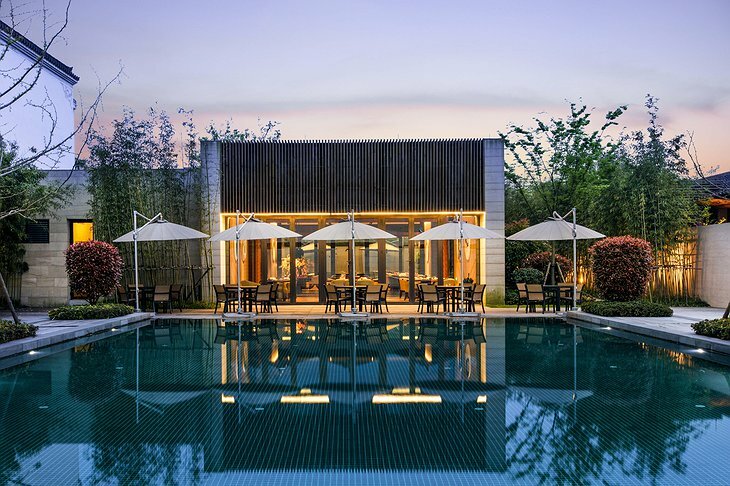 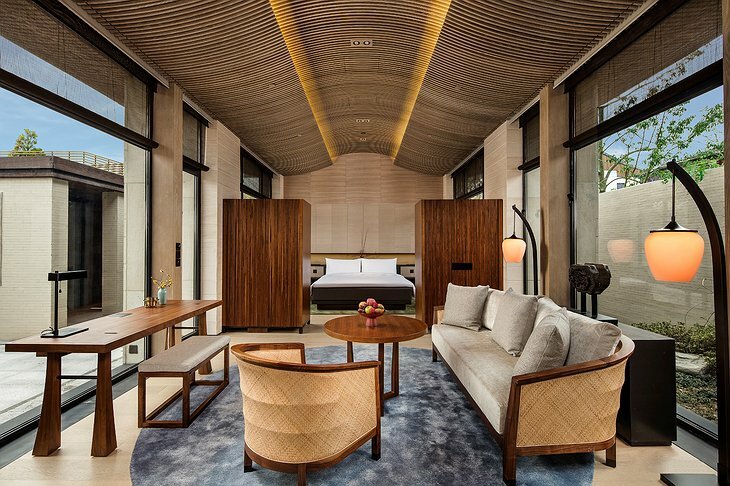 If you need a change of scene from the peaceful and quiet Zhujiajiao, Downtown Shanghai is less than an hour’s drive away and Ahn Luh’s butlers are always ready to arrange private transport for you.